Anime series and movies are good sources of creative inspirations for today’s generation of artists. One of the most popular Anime which recently earned global success is Shingeki No Kyojin also known in its English title as “Attack On Titan“. It is a Japanese manga series illustrated and written by Hajime Isayama way back in 2006 and collected into 12 volumes as of December 9, 2013. The story basically revolves around the survivors of human extinction because of an attack by mysterious giants called Titans. It is set in a medieval world where humans need to fight giants in order to survive. Because of the manga’s popularity, Wit Studio and Production I.G produced the anime series on April 6, 2013 and ended on September 28, 2013 with 25 cliffhanging episodes. The series is incredibly intense and action-packed. Though the scenes look gory with Titans brutalizing and devouring humanity (which I think makes it more thrilling and intriguing to watch), the combat action looked great with the characters’ stunning moves and choreography; leaving us with remarkable visuals all throughout the episodes! Because of the fast-paced story, surprising twists, memorable characters and brilliant plot, the anime series gained even more popularity not only among Asian countries but also worldwide. It is also confirmed to have a live action movie adaptation that will begin filming in summer 2014 for a planned summer 2015 release. 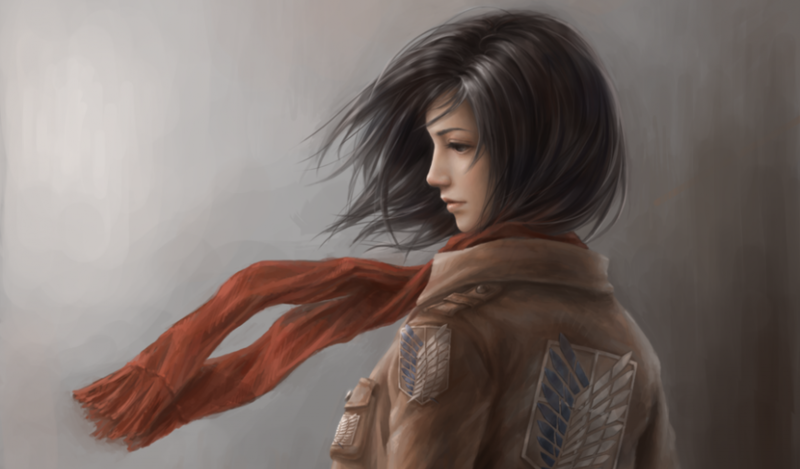 Being recognized as one of the top animes of 2013, Shingeki No Kyojin/Attack On Titan also stirred the graphic design world with over thousands of fan arts spreading on the web. Today we dove in to DeviantArt and collect some of the most awesome fan artworks paying tribute to the series, its characters and mysterious action-packed story arch. Check them out below and enjoy! Which of the artworks is your most favorite? Tell us your thoughts and suggestions in the comments!